Dinner with Joe and his friends; first they planned to dine at Full House but ended up at Yea, Times Square Penang. 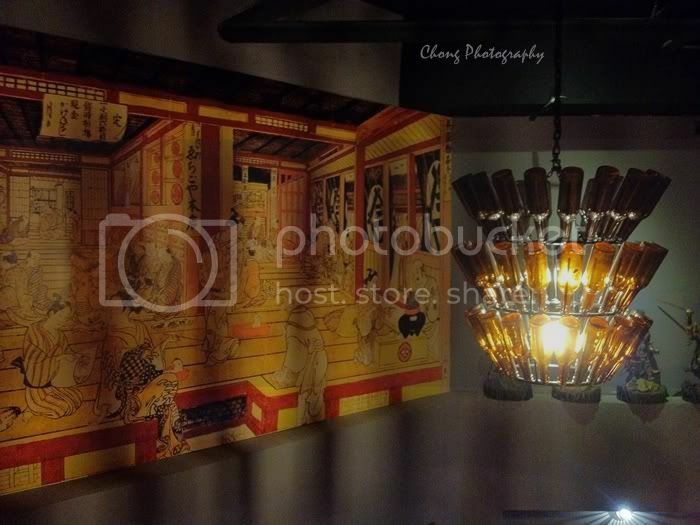 I'm sure you guys are familiar with the Tao, a fancy restaurant that offer all-you-can-eat buffet; and now with the management of Tao, they opened Yea Japanese BBQ & Shabu Shabu restaurant. 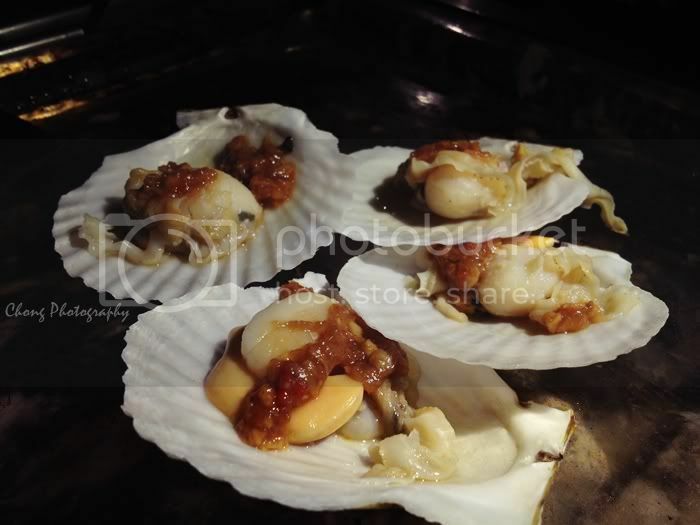 Different with other restaurants, Yea use crystal stone to grilled the seafood so you wouldn't get charred BBQ-burnt on your food; it's something new and healthy to us. 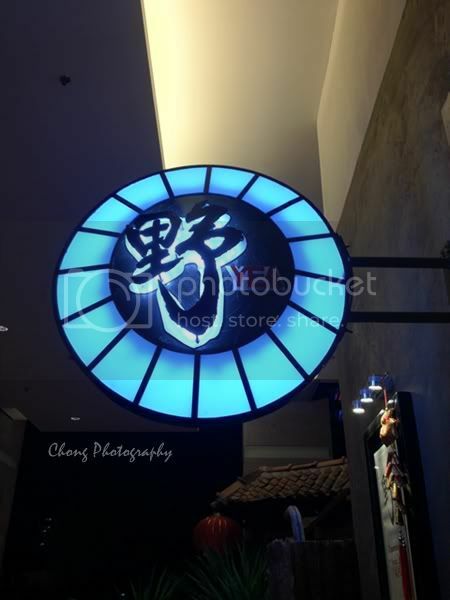 Look at the sign, and it's inspired by the shape of scallop; look alike no? The ambiance of the restaurant is simply amazing and they chipped in a huge amount on renovation and interior design. Regretted I didn't took much of the photos during the night. It's so Japanese feel once you step in the restaurant and I simply like the design of chandelier. 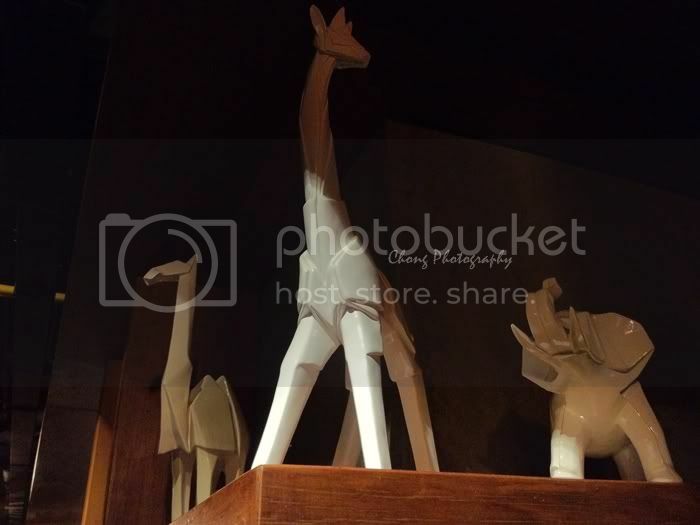 They placed lots of origami style animal statue in the restaurant, heart them so much. 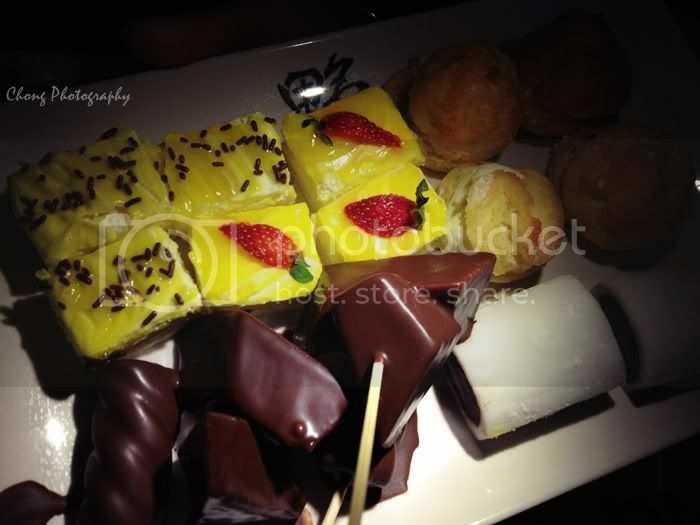 As we were quite late for the dinner, I didn't have time to shot on food, just share some over here. They have huge freezer which houses all the great stuff in raw, all can be cooked using either BBQ style or shabu-shabu style. We took quite a lot and grilled all the raw by our own, it was fun and yummy at the same time. They also provide plenty of choices for shabu-shabu; I took abalone slices, a lot! Are you drooling now? Laugh. We were bloated after the staple food, still we grabbed for more dessert and fruits; and they do have chocolate fondue and ice cream corner. 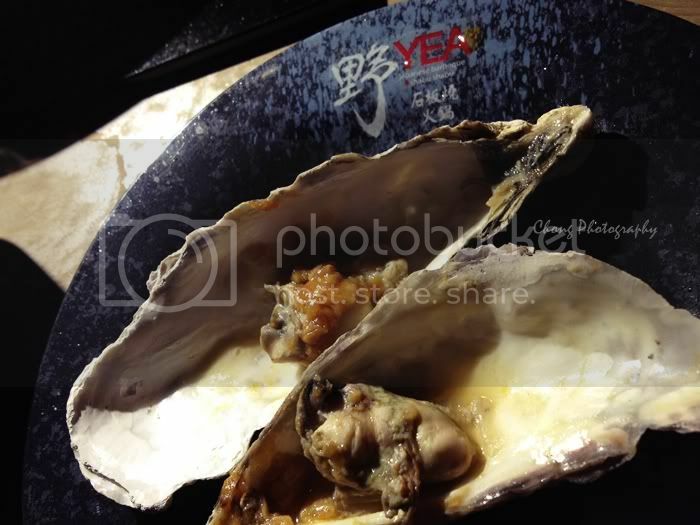 All with only RM48++ (adults) and RM24++ (children), what you eat will gonna worth this price; let's have another round! Add: 77-L1-34, Penang Times Square, Jalan Dato Keramat, 10150 Penang. Things getting more and more interesting. But yea, eat all you can!